The BBLTC Bowling section welcome new members - be they your parents, grandparents, aunts uncles or friends. 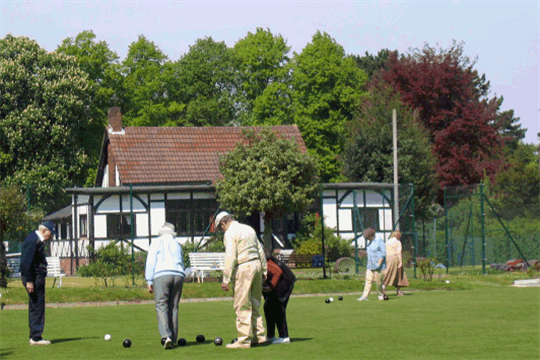 Please come and try out out this friendly game - bowls may be borrowed whilst you assess your ability/liking for this very social activity. Members are available to help with coaching on any of the social bowling days - see below - or by special arrangement. Please arrive by 13.50 for a 14.00 to 16.00 session or phone John Watson on 0161 928 1517 for further information. Throughout the season we have various tournaments and social events, and friendly matches with local clubs. Handicap and Open competitions run through the summer with the finals in August.